You need to get past the first couple of paragraphs, but overall a decent piece. Even in defeat, Beto O’Rourke did a big favor to fellow Democrats all over Texas. A couple hundred thousand young people who might otherwise have skipped the election turned out to vote for the charismatic young liberal, and when they did, they also voted for his party down the ballot. The Republicans still won the statewide races, but the margins were the narrowest they’ve been in decades, and in local races, there were a number of upsets by Democrats. Perhaps the biggest surprise — or accident, as far as local conservatives are concerned — was in the race for the top administrator of Texas’s largest county, the one that surrounds Houston. The winner, Lina Hidalgo, was the most millennial candidate ever, a 27-year-old perma-student who relied on her parents’ financial support to launch her campaign. Her only jobs so far have been the short-term gigs she’s worked amid her schooling. It’s safe to say she wasn’t chosen for her qualifications. Eighty-seven percent of her votes came from straight-ticket ballots. Now she’ll be overseeing a county of 5 million people — the third-largest in the U.S., larger than 26 states — along with a $5 billion budget and a payroll of nearly 17,000 people. (Only a few local hospitals and grocery stores employ more people, including Walmart, which has 34,000 Houston-area workers.) On top of that, Harris County has a vulnerable population of more than half a million undocumented immigrants, and surrounds a city that’s made entirely of concrete, as though it’s designed to encourage the maximum possible damage from floods — of which there have been two apocalyptic ones in the last decade. Sometimes during the campaign, it didn’t look like she was even trying all that hard to win. A common refrain in news coverage was that she’d never attended a meeting of Harris County’s commissioners court, the governmental body she’d be overseeing, which is sort of like a city council. In one debate she couldn’t name the city auditor. But the truth is that Hidalgo is more formidable than her short résumé suggests. To anyone paying closer attention, it was clear that she and the incumbent had fundamentally different ideas about what the administrative position should be. She thought, and still thinks, that there’s a way of transforming it from a mostly managerial role — someone who fills potholes, balances the budget, and cleans up after floods — to one that mobilizes the county’s resources to improve public health, expand public transportation, reform the jails, and reduce global warming. “Any issue you choose, it’s easy to say, ‘We can’t do anything — that’s not the county’s deal,’ she said in a phone interview last week. “But fundamentally, it’s about priorities. Budgets are about priorities and they’re about values.” When she gets into the details, she’s persuasive — maybe because the transition has given her a chance to study the system up close. On criminal justice, she points out, the county has spent somewhere north of $6 million in the past year fighting a judge’s order to reform its bail system. On health, she cited an independent 2015 report that suggested the county could improve its services by coordinating better among its hospitals, clinics, schools, and public-health department. And on transit, she argued, the county can manage development in a way that discourages sprawl, and can divert some of its money for trains. Just out of curiosity, can you name the county auditor? (County, not city – that’s an error in the article.) I’ve got the answer at the end of this post. I feel like people haven’t really wrapped their minds around the ways in which things are likely to change, not just due to Hidalgo’s election but due to the new Democratic majority on Commissioners Court. The Court has always operated in a very clubby you-do-your-thing-and-I’ll-do-mine way, with Republicans having either a 3-2 or 4-1 majority most of the time. The late El Franco Lee, who was one of those Democrats for a thirty year period, did a lot of things for Precinct 1 in his time but was nobody’s idea of an agitator for change at the county level. It’s not just Lina, it’s Lina plus Rodney plus Adrian that will have a chance to shake things up and question things we have been doing for years, if not forever. Some of that is going to generate a ton of friction. As someone once said, elections have consequences. By the way, later in the article Hidalgo responds to the complaint about her not having attended a Court meeting. She notes she watched them online, then makes the very good but often overlooked point that Court meetings are held during the work day for most people, and in general are not very welcoming to public input. That’s one of those things that I figure will be changed, and it will be welcome. Business is not going to be as ususal. By the way, the county auditor is someone named Michael Post. Go ahead and do a Google News search for “harris county auditor” or “michael post harris county”, or a Chron archive search for either, I’ll wait. Maybe the reason Lina Hidalgo didn’t know the name Michael Post off the top of her head is because the man and his office have basically been invisible? Just a thought. Good. It’s what he should be doing. When former state Sen. Rodney Ellis launched his campaign to succeed the late El Franco Lee as Precinct 1 commissioner last year, he said he would shake up Harris County government. Not even three months into his tenure, Ellis filed court papers siding against the county he now helps govern in a costly civil rights case, tearing apart a bail system he said keeps the poor behind bars ahead of their court hearings while the rich can walk free. A day later, at what typically is an all-but-perfunctory biweekly meeting of Harris County Commissioners Court, Ellis’ colleagues returned fire. Unprecedented, one remarked. Another questioned whether Ellis, a lawyer, had a financial incentive for the county to be sued. A third, turning to face Ellis, accused him of “joining a lawsuit” instead of bringing ideas to his colleagues. Since Ellis took office Jan. 1, the veteran politician’s style – applying public pressure to advance causes he holds dear – has grated against tradition for a commissioners court that has long relied on quiet, behind-the-scenes deal-making to operate a more than $3 billion enterprise and govern the third largest county in the United States. Observers suggest that Ellis’s arrival could signal a shift for the Republican-dominated body, a sign of things to come in a county growing increasingly diverse and Democratic. “Rodney is as much a catalyst as he is a consequence of what’s happening in county government,” said Robert Stein, Rice University political scientist. There’s a lot more, so go read the rest. I certainly don’t care that Ellis has annoyed his colleagues, at least on the bail issue. They needed to be annoyed. Part of the problem may be that a Court that’s four-fifths Republican white guy isn’t particularly representative of a county that’s majority non-white and trending strongly Democratic. Perhaps the next couple of elections will help correct that imbalance, but until then Ellis’ colleagues are just going to have to cope. Jack Morman will likely be a top target in 2018 – he has one announced opponent already, and will almost surely have others – and no one can say he isn’t ready for it. I expect that cash on hand number to be well over two million by this time next year. Money isn’t everything, and returns on more campaign cash diminish beyond a certain point, but whoever runs against Morman will have some ground to make up to be able to get a message out and a ground operation going. Meanwhile, the campaign coffers of the late El Franco Lee have more in them than Morman and Rodney Ellis combined, and I still have no idea what’s happening with that. I have some suggestions, if anyone administering that account is curious. I skipped the offices that were just elected, because life is short. Ed Emmett’s modest total is further evidence that he was not originally planning to run for re-election next year. I feel confident that he’d have more cash in his coffers if that had been the idea all along, and I also feel confident he’ll make up some ground before the next reporting deadline. Diane Trautman would be up for re-election to the HCDE Board, but as we know she is going to run for County Clerk, so I’m including her here. I’ll be interested to see if any money pours into this race. Orlando Sanchez has had that $200K loan on the books since at least the July 2014 report. I still don’t know where he got the money for it, or why he apparently hasn’t spent any of it since then, but whatever. All of the Constables, as well as the Justices of the Peace in Place 1, were on the ballot last year, but as I have never looked at these reports before, I figure what the heck. Alan Rosen has always been a big fundraiser. Sherman Eagleton survived a primary and runoff, which is what that loan money is about. I presume all of the action for Mark Herman was in late 2015 and early 2016, after he got promoted and needed to win a primary. I’d have to check to see if Silvia Trevino raised and spent a bunch of money early on and then took a break, or if she just relied on name recognition to win. She did win without a runoff, so whatever she did do, it worked. The Place 1 JPs were elected last year as noted, while the Place 2 JPs will be up next year. David Patronella’s form did not list a cash on hand total. For what it’s worth, all three groups (Constables and the two sets of JPs) have the same partisan mix, five Dems and three Republicans. I don’t have any further insights, so we’ll wrap this up here. Most of the interesting race in Harris County this year are the countywide races. Here’s a look at how the candidates in these races have been doing at fundraising. Devon Anderson received a $60K contribution from Richard Anderson; I have no idea if there’s any family connection there. She’s a strong fundraiser, but she’s also had her share of bad publicity, and I suspect it’ll take more money than what she has in the bank to wipe that away. As for Ogg, her biggest single contribution was $13,500 from Nancy Morrison. I feel like Ogg’s totals don’t quite work, since she reported $30K on hand for her February 20 eight-day report, but it’s not that big a deal. This is also a reminder that the totals listed above for Ogg were from the period February 21 through June 30, while Anderson’s are for the full six months. Hickman had primary opposition, so his report is from February 21 through June 30. He got $21,700 from Suzanne and Keith Moran for his biggest donation. He also spent a bunch of money – $59K to Strategic Media Services for TV ads, $41K too Neumann and Co for mailers, and (my favorite) $10K to Tom’s Pins for “promo items and Golf Promo items”. I bet that’s a lot of pins and little pencils. As for Gonzalez, he had raised $130K from Feb 21 to May 14, during the primary runoff period. His July report is only for May 15 through June 30. In other words, don’t freak out at the disparity in amount raised. Both Sullivan and Bennett were in contested primaries, so both reports cover February 21 through June 30. You could call Sullivan an efficient fundraiser – he raised that $70K from 55 total donors, 52 of whom gave $250 or more, and three of whom gave $100 or less. Bennett has never been much of a fundraiser, and this report bears that out. Some $17K of her raised total was in-kind, which contributed to the extra low cash on hand amount. Leitner had to win a primary, while Ryan was the one Dem who had a free ride. Ryan is also the one Democratic incumbent, and he built up a bit of a cushion over the past four years. Leitner wins the award for being the one guy to fill out his form by hand rather than electronically. Not a whole lot to see here otherwise. This is the one contested County Commissioner’s Court race. Radack’s Precinct 3 is redder than Jack Morman’s Precinct 2 but less red than Jack Cagle’s Precinct 4. In a normal year, I’d expect Radack to get around 60% of the vote, though downballot candidates have done better than that in recent years; Adrian Garcia topped 47% there in 2008. This is obviously not a normal year, though whether the effect of that is primarily at the top of the ticket or if it goes all the way down remains to be seen. To the extent that there is an effect, Precinct 3 ought to serve as a good microcosm of it. El Franco Lee – Still has $3,774,802 on hand. Rodney Ellis – $1,959,872 on hand. Same as his state report. Gene Locke – Raised $258K, spent $182K, still has $115K on hand. I’m going to step out on a limb and suggest that Gene Locke has run his last campaign. Very little money has been spent from El Franco Lee’s account – one presumes his campaign treasurer hasn’t given the matter any more thought since he was first asked about it in January. Rodney Ellis has promised to give $100K to the HCDP coordinated campaign. I say Gene Locke and J. Kent Friedman (El Franco Lee’s campaign treasurer) should do something like that as well. This year presents a huge opportunity for Harris County Democrats, and it’s not like that money is doing anyone any good sitting in the bank. It’s not my money and I don’t get to say how it gets spent, but I do get to say what I want, and this is it. Put some money into this campaign, guys. There’s absolutely no reason not to. UPDATE: Just to be clear, Commissioner Locke has nothing to do with the late Commissioner Lee’s finance account. I was under the impression that Lee’s campaign treasurer controls that purse, but it has been suggested to me that (at least by now) that may have passed to his widow. Be that as it may, and again to be clear, Commissioner Locke has no involvement in anything but his own finance account. Harris County officials on Friday unveiled a $105 million plan to raise the floor of the Astrodome and build two new levels of parking beneath it, the strongest signal yet that the county plans to maintain and find another use for the one-time architectural marvel. The proposal, which the county has been studying for months, would represent a critical step toward repurposing the stadium, which has sat vacant for decades as the community has debated its fate. The plan would allow some 240,000 square feet of ground-level space to be used for events or for an indoor park. County officials envision attracting retail, commercial or hospitality uses to the more than 550,000 square feet of space that surrounds the core. County government offices could even be housed in the retrofitted stadium, said County Engineer John Blount. “What we do next, it becomes an open tablet,” Stinebaker said. Commissioners will be publicly presented with the proposal for the first time Tuesday and could vote on authorizing design and construction by as early as September, said county budget officer Bill Jackson. Stinebaker said the commission is currently reviewing the parking proposal, which would raise the floor by two levels and convert those levels into parking with 700 spaces each. Any other changes would likely have to go before the historical commission. See here and here for the background. We’ll know more on Tuesday, but the main piece that’s missing from all this is how it will be paid for. I feel confident saying there will be no bond referendum, for what I assume are obvious reasons, but beyond that we’ll just have to wait. The late El Franco Lee liked this plan, so one presumes it will receive support from current Commissioner Locke. There’s nothing about this that would prevent any of the multiple proposals for repurposing the Dome from happening along with this. Perhaps having this in place would make the whole thing more attractive to the long-hoped-for private investor. Who knows? I look forward to seeing what gets presented tomorrow. In the end, it wasn’t close. State Sen. Rodney Ellis on Saturday won the Democratic nomination for Precinct 1 Commissioner, effectively guaranteeing the veteran lawmaker the office. Ellis will be sacrificing 26 years in the Texas senate to become the next commissioner, an often overlooked but powerful local office. He will take over from current Precinct 1 commissioner Gene Locke in January, who also ran for the office and was seen as Ellis’ top opponent. Saturday’s nomination ends one of the most unusual campaigns in recent history. Longtime Commissioner El Franco Lee, who represented Precinct 1 for more than 30 years, died in January while still on the March 1 primary ballot, leaving the choice for who will run as the Democratic candidate to 125 precinct chairs. There is no Republican opponent in November, all but guaranteeing victory to Ellis. A week before the nomination meeting, Ellis claimed he had the support of more than half of the precinct chairs, effectively claiming victory. He also claimed the endorsement of Lee’s widow. He will be the only Democrat on the court, which has four other Republican members. The Precinct 1 commissioner represents 1.2 million people and controls a budget of more than $200 million. There were a few motions made about who was and wasn’t eligible to participate, and a lot of noise about the process to elect a convention chair. Rules allow the chair, which at the beginning was HCDP Chair Lane Lewis, to select the method of voting from a set of possible choices. After a voice vote on the convention chair was indeterminate, a “division of the house” process, in which supporters of each candidate went to different locations to be counted, was done. Once that was settled and a secretary was elected, we eventually got around to the main event. Four candidates were nominated for the position. In order of their nomination, they were Nat West, Dwight Boykins, Rodney Ellis, and Gene Locke. I was a little surprised that no one else’s name came up, but that’s how it went. Among other things, it meant that Ellis was the only nominated candidate to have filled out the HCDP questionnaire. Each candidate got two minutes to address the crowd; motions to give them five minutes, and to allow two other supporters to speak on their behalf were loudly voted down. Division of the house was used for this vote. Nat West, who as a precinct chair nominated himself, had two votes. Dwight Boykins appeared to have about ten or so; he then declared that he was withdrawing, and from what I could tell all of his supporters went over to Gene Locke. In the end, Ellis had 78 votes, Locke had 36 (BOR reported 46; I’m pretty sure that’s a mis-hearing of the announced total), and West had two. There was no need for a runoff. I’m very glad this is over, but this is just part of what needs to be done. There’s still the county convention for the judicial candidates on Thursday; several of those candidates, for the two different benches, were in attendance yesterday. With the selection of Ellis for the County Commissioner spot, there is now a vacancy for SD13. Candidates for that position were in attendance as well. Ellis now must withdraw from the November ballot in Senate District 13, which covers a swath of southwest Houston. He will be replaced on the ballot by whichever Democrat can win the support of a majority of the precinct chairs in the district. The replacement will run unopposed in November. At least three state representatives from the area are said to be interested in Ellis’ seat in the Senate: Garnet Coleman, Borris Miles and Senfronia Thompson. Miles and Thompson were there yesterday, with the former handing out yard signs and the latter passing out pamphlets. I will not be surprised if other names surface for this – as with this position, being nominated is akin to being elected, as there are no other candidates on the November ballot – but the lesson to take from today is that just because one says one is running does not mean one will eventually be nominated to be a candidate. Also, I am not in SD13, so this is officially Not My Problem. I’ll do my part in the CEC meeting on Thursday, then I’m done. Congratulations to Rodney Ellis, who I believe will do a great job as County Commissioner. We need to talk about doing something about him being the “only Democrat” on that body. The 2018 election will be a key opportunity to change that calculus. I would also like to offer my sincere thanks to current Commissioner Gene Locke, who I believe has done a very good job in his time in office. Under other circumstances I would have supported Commissioner Locke, so I am sorry I was unable to this time. I wish Commissioner Locke all the best as he completes the good work he has started, and in whatever comes next. I would also like to thank Council Member Boykins for his candidacy. He came up short but he brought attention to important issues that deserve it. I wish him all the best on City Council. It was an honor to take part in this process, but in all sincerity I hope I never have that kind of power again. It’t not something I’m comfortable with. I’m glad there are people for whom it is a better fit who can and do take on that challenge with wisdom and humility. I’m sure we’re all ready for it to be over. Just last week, state Sen. Rodney Ellis claimed he had enough support from Democratic Party chairs to become the next Harris County commissioner for Precinct 1. Not that he’s resting easy in a race as unusual as this one. “I do wake up in the middle of the night, remembering somebody I was supposed to call and didn’t call,” the longtime legislator said. On Saturday, Ellis will try to secure the majority of votes from among the 125 precinct chairs needed to win the post, which represents 1.2 million people, controls a budget of more than $200 million and helps to govern the third-largest county in the nation. Ellis is vying for the post in the heavily Democratic precinct with Gene Locke, who was appointed to the office five months ago following the death of longtime Commissioner El Franco Lee. Locke disputes Ellis’ claim to a majority of the 125 precinct chairs who will be making the decision and says he feels good about his chances. 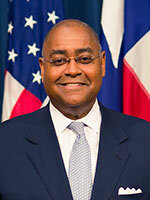 While many see the race as between Ellis and Locke, Houston City Councilman Dwight Boykins is also viewed as a contender. Other candidates include photographer Georgia Provost, KPFT Radio chairman DeWayne Lark and educator Rickey Tezino, who have portrayed themselves as non-establishment candidates who could shake up the status quo. For the most part, the candidates’ broad goals seem to align. Most if not all are committed to Lee’s priorities and goals, including boosting senior and youth programs and reforming the county’s criminal justice system. With so few actual “voters,” turnout also will be key, said Texas Southern University political scientist Michael Adams. At least one precinct chair has already RSVP’d “no” to the gathering. Adams said he expects precinct chairs to be energized and to show up in large numbers. The first order of business for the precinct chairs will be to select someone to lead Saturday’s gathering, according to Gerry Birnberg, a former chairman of Harris County Democrats. That person will determine the process for voting. All four options are public, and they mainly differ on how the chairs signal who they are voting for. If no candidate receives a majority in the first round of voting, the top two vote-getters will go to a runoff, Birnberg said. Technically, there’s at least one person who isn’t ready for it to be over, and that’s the precinct chair who sent out an email saysing we should “put a motion to the floor asking that we postpone the nomination for one month [so] that we as Precinct chairs can rally ourselves and get better clarity on the process”. I say the process is pretty clear and has been explained more than once, and if Rodney Ellis gets the nomination we need to get busy replacing him on the ballot, so it is safe to say I will not vote for this motion. I also think Gerry Birnberg is right – there ain’t a whole lot of undecided voters in this election. I will have a report tomorrow after all is (hopefully!) said and done. Last week, the HCDP sent out a questionnaire to the candidates who had expressed an interest in the nomination for Commissioners Court in Precinct 1. You can see the responses that they got here. Only four candidates submitted answers: Sen. Rodney Ellis, Georgia Provost, Rickey Tezino, and someone named Vernell Jessie, about whom I know nothing. If you’re even a little surprised that Ellis’ answers were longer and more detailed than those of the other three combined, I’m not sure what to tell you. There were a lot of in-depth questions in this document, and there was only a week or so to submit answers, so it’s not a big surprise that only some candidates did so. Commissioner Locke can reasonably point to his time on the Court and say “you can get your answers from what I’ve done in office”. I suppose CM Boykins could make a similar claim, though Council doesn’t really deal with a number of these issues. DeWayne Lark was the most interesting of the non-officeholding candidates at the May candidate forum, so I would have liked to see what he had to say here. Nat West did not attend that forum, so this may have been his one real chance to be heard by the precinct chairs. That’s the way it goes. On a tangential note, I received an automated survey call on Monday about the Commissioners nomination process. It sounded like it was going out to Precinct 1 residents, with the intent of informing precinct chairs of the preferences of the voters they will be representing on Saturday, but there was no identifying information on the call, so I have no idea who it was that was collecting this information. Be that as it may, there were three questions in this survey (which now that I think about it didn’t ask about demographic information either). One was whether you considered policy or some other criterion that I’ve since forgotten as more important in selecting a candidate. Needless to say, I chose the “policy” option. Question 2 was about the late Commissioner Lee’s programs for seniors and whether the next Commissioner should continue and build on them. I’ll be honest, I really don’t know much about these programs, as I myself am not (yet) a senior, but I chose Yes anyway. Finally, we were asked which candidate we preferred, with the choices being Provost, Lark, Locke, Ellis, and Boykins. I’ll save my answer for another time, but I guess we can cross Tezino and West off the list of people who might have been paying for the survey. I then got another automated call last night, from a gentleman who identified himself as “a senior living in Precinct 1”, calling to inform people about the June 25 meeting to select the nominee. He stated incorrectly that “Harris County Democratic Party rules” limited participation in this process to precinct chairs, then said that the way that anyone else could participate was to contact their precinct chair, and he spelled out the URL on harrisdemocrats.com to find one’s chair. (Greg, if this was your idea, you and me are gonna have to have some words.) Anyway, our mystery senior (I forgot his name within minutes of hanging up the phone; I should really try to take notes one of these days) then listed the same five candidates mentioned in Monday’s “poll”. I looked at my caller ID information and the two calls came from different numbers, for all that’s worth, but I’d bet a ten spot they both came from the same source. Did anyone else get one of these calls? What do you want in the next Precinct 1 County Commissioner? Here’s one way to figure it out if you’re not sure. Harris County Democrats have sent a questionnaire to Precinct 1 commissioners candidates, setting up one of the few instances in an unusual race where the public can compare candidates’ political and policy stances. The questionnaire covers topics including how candidates propose to prioritize funds inside versus outside city limits, how candidates will continue longtime commissioner El Franco Lee’s senior programs, and the burdened county criminal justice system. The party is seeking answers to the questionnaire by June 16. The task of picking a commissioner who will represent 1.2 million people – more than the populations of nine states – and control a $200 million budget falls to a group of 125 Democratic precinct chairs. Which as you well know happens on June 25. I’m sure our letter carrier will appreciate the lighter load she will get to carry once this race is over and the avalanche of mail I’ve been getting ceases. The questionnaire is embedded in the story – these are fairly involved questions, so I hope the candidates got them before Monday, because it will take some time to write thorough answers – and I will be eager to see the responses. I’ve said what my preferences are, but these questions go into quite a bit more depth. I’ll have a report on the answers once they are posted. One more to a long list. The widow of the late Harris County Commissioner El Franco Lee has endorsed state Sen. Rodney Ellis for the seat that her husband held for decades, the senator said Friday. A letter dated Tuesday and signed by Kaye Lee urges Democratic party district chairs to select Ellis, the longtime Democratic state senator, when they gather later this month. Ellis’s top rival in the race for the Precinct 1 seat is Commissioner Gene Locke, a Democrat who was appointed in January to fill Lee’s seat by County Judge Ed Emmett, a Republican. Kaye Lee has not confirmed the authenticity of the letter and did not respond to several phone calls, messages passed through intermediaries and a written note seeking confirmation of her endorsement. Ellis said Friday he had spoken with Kaye Lee after the letter was sent out and said it was genuine. The letter stresses that Ellis is a “loyal Democrat” and family friend with a track record of electoral success. Locke’s campaign consultant, Keir Murray, added that the commissioner has been unable to reach Kaye Lee to discuss the letter. I received a copy of the letter on Wednesday. Gotta say, it didn’t occur to me that it needed to be confirmed. For what it’w worth, I don’t think this endorsement, or any of the multiple others that Sen. Ellis has collected, means that much. I figure endorsements mean more when a significant portion of the electorate doesn’t have a strong opinion about the candidates involved, or when they just don’t know that much about them and are looking for some direction. That surely isn’t the case here, in an election to be determined by 125 or so precinct chairs. That hasn’t stopped Sen. Ellis from collecting a lot of them, with each endorser sending a letter on his behalf. How much of an effect they may have, I couldn’t say. They’re nice to have, to be sure, I just have a hard time believing they will change anyone’s mind. On Sunday, I attended the candidate forum held by the HCDP for the people who are interested in being named to replace the late El Franco Lee on the ballot this November. The Chron has a report on it here, but I’m just going to give you my impressions of the event and the candidates. The event started with an introduction by HCDP Chair Lane Lewis, who gave a long and obviously written by a lawyer explanation that just because someone was participating in this event does not mean that person has declared himself a candidate for the office. In fact, one doesn’t ever have to declare oneself a candidate for this office, but instead can graciously accept the spot on the ballot if the precinct chairs in their wisdom call upon one to take it. I’ll give you three guesses which candidate present for this event this was aimed at. There were six candidates in attendance for what was to be a fairly standard candidate forum, in which a moderator (KPRC’s Khambrel Marshall) would ask questions (some prepared beforehand, some solicited from the audience) that participants would answer. Each candidate got to make a two-minute intro speech, and the questions would be assigned to two candidates each, though some of them were answered by all. Marshall picked the candidates and the order in which they responded. Overall, it went pretty well, and I’ll get to the candidates and my view of them in a minute, but first I want to share the two most important things I learned from this event. First and foremost, if on the initial round of voting at the Precinct Executive Committee meeting on June 25 at which the nominee is picked no candidate receives a majority of the precinct chairs in attendance, then the top two will go to a runoff, to be conducted immediately following that vote. There had been a lot of confusion on that point – several people at the event asked me this specific question, which was finally answered by Gerry Birnberg after the debate part was over. He also emphasized that as per Robert’s Rules of Order, only the relevant precinct chairs in attendance at the event could vote. No proxies or phone-ins would be allowed. To say the least, that puts a lot of emphasis on the most concentrated get-out-the-vote effort you’ll ever see. The other item had to do with the selection of candidates for the 507th Family Court and Harris County Criminal Court At Law #16, for which I’ll write a separate post. I had originally been under the impression that we would take care of all of this business on the same day, June 25. That is not the case. As Lane Lewis told me, we need to keep those things separate to ensure that only chairs in Precinct 1 are involved in the selection of the Commissioners Court nominee. The judicial nominees will be chosen five days later, at the next County Executive Committee meeting on Thursday night, June 30. Ricky Tezino: I have no idea what he was doing here. Georgia Provost: She got a lot of audience response from making numerous provocative, mostly anti-establishment statements. That’s an interesting strategy to pursue in an election that will be decided entirely by precinct chairs, but she did have some support in the crowd. She and the other two candidates who are not current officeholders pitched themselves as scrappy outsiders not beholden to anyone who would come in and shake things up. There’s a place for that kind of candidate – City Council, for which Provost has made two recent campaigns, is one example – but I for one am not sure that’s a good idea for the lone Democrat on Harris County Commissioners Court. YMMV and all that. DeWayne Lark: Of the three “outsider” candidates, he made the best impression on me. At one point during the forum, there was a somewhat bizarre question about the need for a public defender’s office in Harris County. Georgia Provost, answering first, gave a rambling response in which it was not at all clear she understood that there was a PD’s office already and that it had been in operation for several years. Lark followed that with an unequivocal statement that we already have such an office, and the main issue with it is that judges in Harris County are not required to use it instead of the old system of assigning an attorney themselves. Lark was in general fairly well informed, he gave concise answers, and he offered the best slogan of the evening, “Come out of the dark and vote for Lark”. Dwight Boykins: He was at his best when he was talking about the things he has done on Council and how he would implement them as a County Commissioner. He spent a lot of time talking up his second chance job programs in particular. He also had two bad moments that stuck out. Late in the forum, there was an audience-submitted question regarding HERO. Ellis gave a short answer stating his firm support for HERO. Locke also strongly supported HERO, but criticized the way the campaign in support of it was handled. Lark said something about opposing discrimination but having issues with the wording of the ordinance, which was not a good answer but at least was short. Boykins’ response began with his intent to work with Mayor Parker to pass a non-discrimination ordinance, until he started getting calls from constituents who didn’t like it, so he had to vote against it. The whole thing was a mess. Later, he walked right into the biggest haymaker of the evening, in response to a question about why were the candidates Democrats. Ellis was first, and he gave a rousing, red meat answer that got a big cheer from the crowd. Boykins followed, and after beginning by saying he was born a Democrat, he took a shot at Ellis for having previously referred to him as a Republican. Ellis responded to that by saying well, what do you call someone who votes in a Republican primary? (The crowd responded as you might expect to that.) Boykins tried to salvage things by saying he voted for Kay Bailey Hutchison over Rick Perry, and the Democrats didn’t have a candidate. The crowd didn’t appear to catch that he had just publicly overlooked Bill White in 2010, but everyone I talked to about it afterwards noticed. It was not Boykins’ finest moment. Gene Locke and Rodney Ellis: I’m putting these two together because they both had the most visible presence at the event. They had display tables in the lobby, they brought a bunch of supporters wearing their campaign T-shirts, and more importantly, they both made it through without saying or doing anything that would make a supporter change his or her mind about them. They emphasized their experience and credentials, with Ellis making a spirited defense of his 30+ years in public office, and they both brought their A games rhetorically. The Chron story said that Locke’s discussion of his plan to help fix the streets in front of Reliant Stadium for the Super Bowl was contentious, but I have to confess I missed any negative response to it from the crowd. The bottom line is that if you came in thinking these two were the frontrunners, I saw nothing in the event to change that perception. I put “race” in quotes because it’s not like any other race you’v ever seen. The campaign for the next Harris County Precinct 1 commissioner appears in many ways like any other: candidates are raising money, seeking endorsements and sending out targeted mailers touting their credentials. But this is not a typical election, and voters won’t be heading to the ballot box. Instead, the task of picking a commissioner who will represent 1.2 million people – more than the populations of nine states – and control a $200 million budget falls to a group of 125 Democratic precinct chairs. That’s because longtime Commissioner El Franco Lee’s name remained on the March 1 primary ballot after his death in early January, leaving the precinct chairs to select the party’s new nominee, who will be unopposed in November. The unusual nature of the nominating process means the campaign is less democratic than most local elections and far more intimate – built around in-depth policy conversations and targeted wooing of party insiders. Example: The presumed frontrunners, Rodney Ellis and Gene Locke, both sent flowers to female precinct chairs for Mother’s Day. City Councilman Dwight Boykins has not formally announced his candidacy, citing concern that he could forfeit his municipal office by doing so. But he has been actively campaigning for the job. Because voters last November extended the terms of Houston elected officials to four years, from two, those who become a candidate for another office now are subject to the so-called “resign-to-run” provision of the Texas Constitution, which applies to municipal officeholders with terms longer than two years. Though a Texas attorney general opinion issued in 2000 states that running for the nomination of a political party’s executive committee does not prompt an automatic resignation, the courts have yet to formally resolve the issue. So Boykins and other interested council members – Jerry Davis and Larry Green – have approached the campaign gingerly. It’s a good overview of the process, so give it a read and familiarize yourself. I spoke to Chron reporter Rebecca Elliott on Thursday, but much like Kevin Costner in The Big Chill, my role was left on the cutting room floor. One point I want to address in this story, which is as much about the great power that’s been bestowed on some 125 precinct chairs as anything, is the question of how this process could have been done differently. One precinct chair called for a special election instead of the current process. That has some intuitive appeal, but remember, we’re not actually picking a County Commissioner. We’re picking a Democratic nominee for County Commissioner. There’s no provision in the law for a special party primary election, and I’m not sure how you could conduct one in a way that mimicked an actual primary election. Those are technically open elections, but everyone who participates has to choose which primary they want to vote in. How do you ensure conditions like that in a special election environment? Remember also, we precinct chairs – not just the 125 or so of us in Precinct 1, but the 500 or so of us in all of Harris County – are also selecting nominees for two judicial races. There’s basically no concern about us doing that, in part for the obvious reason that those offices have far less power, but also because those nominees will have contested races against Republicans in November, and unlike the Commissioners Court race there’s no guarantee they’ll win. The concern about the un-democratic nature of this process is, in my opinion, entirely about the nature of the office of Commissioners Court, which has vast power and not a whole lot of electoral accountability under normal circumstances. It’s about the office, not the process. Fixing the process in some way, if there is a way, can’t address that. I should also point out that as weird as this process is, it could be worse. For one, if the late Commissioner Lee had died next January after being elected and sworn in, instead of this January after the filing deadline had passed, then Judge Ed Emmett would have been able to not only pick a replacement as he did to fill out the last year of Lee’s term, but that replacement would have been able to file for election himself in 2018, and would almost certainly have cruised to an easy win. This is what happened with Jerry Eversole (who resigned after the 2010 election) and now-Commissioner Jack Cagle. At least here, it’s Democrats who are picking the replacement. Yes, we’d have gotten a shot at that person in the next primary, but that could mean nearly two years of a Commissioner in the most Democratic precinct in the county being chosen by a Republican County Judge, and an awful lot can happen in two years. We got lucky here, in that Judge Emmett is an honorable man, and his choice for this year of Commissioner Locke was a good one. But there was and would have been nothing to stop a less honorable Judge from picking whatever hack or crony he wanted to. It could have been worse, that’s all I’m saying. If Ellis earns the Democratic Party’s nod for commissioner, the party would need to convene another executive committee meeting to find a replacement for him on the ballot for state senator – and quickly, as all nominations must be completed by late August. The angling has already begun. Naming Sen. Ellis to fill the nomination ensures at least one more round of this selection process, with the precinct chairs in SD13 moving onto the hot spot. (That does not include me, as I am in SD15.) And if the precinct chairs of SD13 select a State Rep to fill the slot left vacant by Ellis – at the very least, Reps. Coleman, Thompson, and Miles are waiting in the wings – then we get to do this a third time. There is an argument to be made that selecting Commissioner Locke to run for the seat in November puts an end to that process. Whether one considers that a pro or a con is a matter of personal preference. 1. There will be a public forum on Sunday, May 22, from 3 to 5 PM at CWA Local 6222- 1730 Jefferson St, Houston, TX 77002, to meet the people who have expressed interest in being named to fill the ballot in place of the late El Franco Lee. The four that have shared their interest with the HCDP so far are Sen. Rodney Ellis, interim Commissioner Gene Locke, Nathaniel West, Sr., and Georgia Provost. Everybody knows that CM Dwight Boykins is also interested in this nomination, but thanks to state law and the city’s new four-year terms for Council members, he can’t say that out loud just yet without (maybe) having to resign his seat. Nobody knows for sure if state law applies to this situation, as this election is unlike all others, but he understandably doesn’t want to take an unnecessary risk. That said, I am sure that CM Boykins will be in attendance next Sunday. 2. Another name I can add to this list is the Rev. DeWayne Lark, who is having a meet-and-greet this Sunday with (I presume) precinct chairs. I’m not able to attend, so that’s all the information I have at this time. 3. On Monday, I received in the mail a photocopy of a Chronicle story from April about Sen. Ellis and his bond work, which I blogged about here. Just a photocopy of the print story, no writing on the single piece of paper and no return address on the envelope. An attack mailer, clearly, one that does not meet legal requirements. This has got to be the cheapest election ever for sending attack mail, I figure. The entire voting universe is 130 or so people, and you know exactly who they are. It’s probably not the only piece of mail I’ll get between now and June 25. The Chron has a story today on County Commissioner Gene Locke changing his mind and now wanting to become the Dem nominee for Commissioner. It looks like a race between Gene and State Sen. Rodney Ellis. The Chron mentions a few others that may be interested though. Lane Lewis, Democratic Party county chair, said he does not know which candidate the roughly 150 precinct chairs lean toward. So far, he said, the chairs have expressed concern about two main issues when considering contenders: whether the nominee will invest more within Houston city limits, since city residents also pay county taxes, and whether the nominee will play a more active role in Democratic Party politics. Get it in writing folks or at least on YouTube. 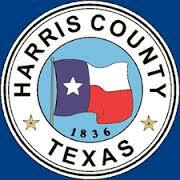 Make the county commissioner candidates say that they will start spending more of our tax dollars on projects within the H-Town City limits. How much? How about proportionately? On the second point, we all know that county commissioners can raise a ton of campaign funds. Get them to say that in general election years, they will spend ten percent of what they have in their campaign bank account on Dem GOTV efforts in Harris County or at least within their precinct. If they have a million in the bank, then they commit to spend $100,000. No more of this piling up funds in their campaign bank account and hoarding it while the Dem Party continues to hold bake sales. Make them take the pledge, please. Don’t let this opportunity slip through your fingers. I’ve already stated my agreement with the second item, though I didn’t specify a number, as well as some other things I’m looking for. I’m happy to include point 1 on my list. The story notes that there will be a forum in May, so perhaps we can get some answers to these and other questions. Clearly, I need to add some candidate interviews to my to-do list. What questions should we add to what we’ve already got? By the way, as noted by Mainstream in this comment to Tuesday’s post, you can add County Criminal Court at Law #16 to the list of nominations we have to fill. I have no intel on that one at this time, but I’m sure I’ll hear some names sooner or later. He would like to continue being County Commissioner. Harris County Precinct 1 Commissioner Gene Locke said Monday he has decided to seek the Democratic nomination — and thus another term — for the Precinct 1 seat. Locke was initially appointed by county Judge Ed Emmett as a caretaker commissioner to fill out the term of longtime commissioner El Franco Lee, who died in January. Locke had previously said he intended to return to his job as a lawyer and spend time with his family after the end of the current term in December. But Locke said Monday that a broad cross-section of supporters, including constituents and community leaders in Precinct 1, had swayed him. Locke said he has always maintained he would follow in Lee’s footsteps. “I had mentioned early on in my consideration for this position that the continuation of his legacy would be one of the considerations that might make me change my mind,” Locke said. See here for Locke’s official statement, here for my initial reporting on this, and here for a Chron story that resulted from that. I’ve seen a few negative reactions to Commissioner Locke’s initial statement of interest in the job, which at the time he took it was supposed to be just for this term, stuff that has accused him of not being true to his word. I’m not going to hold it against him – he never explicitly said he would not seek a full term, and as I’ve noted before, being a County Commissioner is a pretty damn sweet gig. I’m sure there have been people encouraging him to run, especially with the city-focused infrastructure work that’s he’s been pioneering, but as we know unless those folks include the 130 or so precinct chairs that will make a selection on June 25, it doesn’t much matter. For what it’s worth and speaking as one of those 130 people, I have had regular contact – phone, email, and/or snail mail – from three candidates regarding this nomination: Gene Locke, Rodney Ellis, and Dwight Boykins. I’ve not heard from anyone else since January, and have not heard from anyone else at all besides one other person. Whether that means this is just a three-person race, or that there are three candidates who are much better organized than the others, I couldn’t say. We will know for sure on June 25. Harris County Precinct 1 Commissioner Gene Locke, appointed to fill the unexpired term following the sudden death of longtime Commissioner El Franco Lee last month, said Tuesday he may seek the nomination for the powerful local office in the November election. Locke said he has not made a final decision, but his statement signals a shift for the former city attorney, who previously said he intended to return to his job as a lawyer and spend time with his family after the end of the current term in December. “It’s the number of people who I respect that are asking me to consider it,” Locke said Tuesday. He declined to name those asking him to run and said he needs to talk to his family about it. He did not give a timetable for when he would make a decision. After Lee’s death on Jan. 3, several people announced interest in the office, including Houston Councilmen Jerry Davis, Dwight Boykins and Larry Green. State Sen. Rodney Ellis, D-Houston, said last month that he intends to run, sacrificing 25 years of legislative seniority. “I have a lot of respect for Gene Locke and appreciate anyone who wants to serve the public,” Ellis said in a statement Tuesday. Davis said the possibility of Locke seeking the nomination would not change anything for him. “Right now, it’s just the opportunity to talk to different people and see what they want in the county commissioner,” he said. Harris County Democratic Party Chairman Lane Lewis said Locke had not told him if he was interested in the nomination. You heard it here first. I mean, look, there are 130 or so precinct chairs who will make this decision. Locke’s task, or any other challenger’s task, is to convince enough of them to make him their first or second choice. I don’t know how that’s going to go, but it will be a campaign and an election like nothing else we’ve seen anytime soon. Please see update at the end of this post. There is new information at the bottom. Harris County Judge Ed Emmett on Friday named Gene Locke, a former city attorney and mayoral candidate, to complete El Franco Lee’s term on Commissioners Court. Locke, 68, a senior partner at the Andrews Kurth law firm, served as city attorney under the late Mayor Bob Lanier in the 1990s and ran for mayor in 2009, losing in a runoff to Annise Parker. “I plan to be a hands-on, on the ground, let’s get with the program commissioner, which means that I will follow in El Franco’s footsteps,” Locke said. As Carl Whitmarsh first noted on Friday, and others confirmed to me at the Saturday HCDP County Executive Committee meeting, Locke is now seeking to be named as El Franco Lee’s replacement on the ballot in December, thus allowing him to run for a full four-year term. I don’t know what may have changed his thinking – the obvious answer is that being County Commissioner is an amazingly sweet gig, and who wouldn’t want to keep doing it? – but something did. One of the tidbits I learned at that CEC meeting on Saturday is that there are about 130 Democratic precinct chairs in Commissioners Precinct 1, so that’s the target electorate he needs to work to get that job. Getting a headline about using county resources to help fix some city streets (*) is a nice thing that would no doubt help with March and November voters, but the pool to fish in is quite a bit smaller than that. We’ll see how he approaches it. Meanwhile, Rodney Ellis and Dwight Boykins, who were both at that CEC meeting, remain the most visible-to-me contestants for that job. According to the discussion thread on Whitmarsh’s Facebook post, former City Council candidate Georgia Provost, and SD13 committee chair Nat West are also throwing their hats in the ring. Another thing I learned at the CEC meeting is that in order to be considered for the replacement nomination, one of those 130 or so precinct chairs needs to make a motion to nominate you. So we won’t really know who is and isn’t in play until June 25, the day the Precinct Executive Committee meets. Stay tuned. (*) – Am I the only one who thinks it’s weird that a story about Commissioner whose precinct is almost entirely within the city of Houston proposing to use some of his infrastructure funds on city streets (among other things) is newsworthy? What else do these funds get spent on if city streets aren’t normally included? It’s all still Harris County, isn’t it? UPDATE: Commissioner Locke called me to say that while he has been asked to consider seeking the nomination, he has not made any decisions. He is considering it, and he said that being Commissioner offers him a platform on which he can do a lot of good, but he also reiterated what he said in that earlier story about having grandchildren he loves spending time with. The bottom line is that he said he has not made any decisions about seeking the nomination. With former city attorney Gene Locke in place to finish the late Harris County Commissioner El Franco Lee’s term, Democratic players are quickly emerging as candidates in the November general election. State Sen. Rodney Ellis, D-Houston, said late Thursday that he intends to run, sacrificing 25 years of legislative seniority in a bid for a powerful local office. City Councilmen Jerry Davis, Dwight Boykins and Larry Green said Friday they have begun campaigning, such as it is, under these unusual circumstances. Councilman C.O. Bradford said constituents had encouraged him to run, and he’s considering it. Ellis was the first to go public with his campaign efforts. He began researching what it would take to run for the county position, since his name is on the November ballot for state senator. A legal memo prepared for county Democratic chair Lane Lewis outlined a path by which Ellis said he could seek the ballot spot. In mid-June the Democratic party chairs for Precinct 1 will vote for a candidate to replace Lee on the ballot. If the party chose him for commissioner, Ellis could withdraw his name from the ballot for state senator, which would trigger a second process by the Democratic leaders to pick a Democrat for state Senate. Ellis said a move to local office would bring him back to his political roots. Despite having passed 600 bills in the Legislature, Ellis said, he sees himself as “very much an activist” on local issues like urban homesteading and criminal justice. This is from the fuller version of yesterday’s story regarding new Commissioner Gene Locke and Ellis’ first-in-line announcement. Good timing has its rewards. I don’t have much to add except to note again what I’m looking for in a new Commissioner. I’ll leave it to you to decide which of these candidates may fit what I have in mind. We have our first public announcement of interest in filling the late El Franco Lee’s seat on Commissioner’s Court. Longtime state Sen. Rodney Ellis has begun making calls to local Democratic Party leaders and plans to run for the Harris County Commissioner seat left vacant after the death of El Franco Lee, a spokesman said Thursday night. County Judge Ed Emmett will announce and swear in Lee’s temporary replacement in Precinct 1 on Friday and Lee’s name will remain on the ballot for the primary. But Ellis’ campaign spokesman David Edmonson said late Thursday the Houston lawmaker was not pursuing Emmett’s interim appointment. Ellis has researched the statute, and has asked an aide to lay out the steps a candidate like him would need to take to get his name removed from the November ballot for senator should the Democratic Party chairs choose him as the general election candidate for the commissioner’s seat. Sen. Ellis has contacted me about this; he was calling precinct chairs, and I’m on that list. He’s not the only person I have heard from, but he is the first to be public about it. The post I wrote about what I’m looking for in a successor to Commissioner Lee was written after those conversations, to help me organize and fill out my thoughts on the matter. Sen. Ellis does meet my qualifications, but I’m waiting to see who else publicly expresses an interest before I commit to anyone. If Sen. Ellis wins the election of the precinct chairs, we will then have to go through a similar exercise to replace him on the ballot in SD13, but as I am not in that Senate district, I will not be a part of that. PDiddie has more. In the meantime, County Judge Ed Emmett has made his choice for interim Commissioner. Here’s Judge Emmett’s press release. We know that new Commissioner Locke can keep a secret, so if he does have something up his sleeve, we’ll know it when he’s ready to let us know it. Honestly, though, I take him at his word. I will be more than a little shocked if Gene Locke winds up on the list of names for us precinct chairs to consider. Locke was chosen after Commissioner Lee’s widow passed on being considered for the post. I join with many others in wishing Commissioner Locke all the best with the new gig. We will know who it is soon. Harris County Judge Ed Emmett on Monday announced he expects to appoint a successor by Friday to complete El Franco Lee’s term on the county’s governing body. Emmett wants the new Precinct 1 commissioner to be in place for the court’s yearly budget meeting the following Tuesday, Jan. 26, a spokesman said. In the short term, it falls upon the county judge to name a replacement if a commissioner dies or leaves office, according to state law. Emmett spokesman Joe Stinebaker said Emmett has been making and taking phone calls related to the open seat on a daily basis. Stinebaker said Emmett, who is a Republican, hoped to name a black Democrat to Lee’s seat. Lee was the only Democrat on Commissioners Court. I guess enough time has passed now. Remember, this is just to fill the remainder of Commissioner Lee’s current term, which ends this December 31. It’s my expectation that the person Judge Emmett names will not be in the running to be on the November ballot, but of course we won’t know that for sure till we know who it is. And we should know by Friday. Not even a month has passed since Sylvester Turner was sworn in as Houston’s new mayor, and already the next election cycle is just around the corner. Early voting for party primaries is about a month away, running from Feb. 16 through Feb. 26. Election Day is March 1. Safely gerrymandered districts often mean that these party primaries serve as the functional election for the state Legislature, Congress and other positions. It can be frustrating to know that the November election has a predetermined outcome for all too many politicians, but this version of democracy feels practically Athenian in contrast to the process for replacing the late El Franco Lee, the longtime Democratic county commissioner for Harris County Precinct 1. Because Lee died after the filing date to get on the ballot, his name will remain voters’ only choice. Republicans and Libertarians offered no opponent for the general election and the Green Party candidate has withdrawn. Under state law, Democratic Party precinct chairs for Lee’s precinct will select his replacement. At no point in this process will voters in Precinct 1 have a direct say about who will represent them on Commissioners Court. This election-free appointment should be anathema to the values of our representative republic, but the problem isn’t new. County government has a history of avoiding an active electorate. In fact, Lee never faced a serious challenger throughout his 30-year career as county commissioner. If his successor has similar luck, it is possible that people could live their entire voting lives without seeing a single competitive race in Precinct 1. I don’t disagree with any of this, but it should be noted that the process to select a party’s nominee when the filing deadline has passed is prescribed by the Legislature. You may not like the idea of having such a small group of people (myself included) picking the next Commissioner, but look at it this way – if Commissioner Lee had died in, say, October, he would have remained on the ballot and then his spot on the Court would have been filled by Judge Emmett, all by himself, as was the case when Jerry Eversole resigned. That person would have gotten to serve for two full years before having to run to serve the remainder of the four-year term, and would have been a heavy favorite to not just win but be essentially unopposed at that time. It is what it is. We certainly could do this process differently, and now is as good a time as we’ll ever get to discuss what if any alternative methods might be better. One obvious possibility is that we just declare a special election to fill the seat for the next term – Judge Emmett can appoint an interim Commissioner as he sees fit for the rest of the year – and let whoever wants in file for the now-vacant position. Of course, given the timing that may either cause vacancies in other races, or may prevent someone who might have jumped at the opportunity had it presented itself at another time to let it pass. It also all but guarantees that the winner would be decided in a much-lower-turnout December runoff. Is that better? Is there another way that’s better than that? You tell me. It would have been nice for the Chron to offer a suggestion to go along with the complaining. Oh, and one more thing: On the matter of people possibly living their entire voting lives without ever having the chance to vote in a real Commissioners race in Precinct 1, I have five words: “Term limits”, and “campaign finance reform”. Either of them would address the issue. As above you need to take that up with the Legislature. I don’t care for term limits, but if they’re good enough for City Council, they’re surely good enough for the much more powerful office of County Commissioner. After some griping about the, um, flexible ethics standards for County government, the Chron gets to what they would like from the next Commissioner in Precinct 1. Normally editorials urge voters to select good candidates, but now that duty falls upon Democratic Party officials. We encourage them to follow County Judge Ed Emmett’s example and reject the politicians who rushed at first word of Lee’s untimely death to ask for an appointment. Harris County needs commissioners who are mindful of the future. There’s nearly as many people living in the unincorporated county as there are in the city of Houston, and county governance wasn’t designed to handle that burden. Precinct chairs should look for someone ready to tackle this issue, and that should include discussions about incorporation in the city’s extraterritorial jurisdiction, merging city and county services, and bringing greater transparency to county business. The next commissioner of Precinct 1 also will have the responsibility of saving the Astrodome. You know what I’m looking for. Again, I basically agree with the Chron list, though again some specifics from them would have been nice. Precinct 1 is overwhelmingly part of the city of Houston, so it’s reasonable that the Commissioner there be a leader in forging city-county relations. I’ll give this some more thought and write it up when I have something to say. Building on what we discussed last time, what am I, as one of maybe 100 people who has the privilege of selecting a Democratic nominee to take El Franco Lee’s place on the November ballot – and most likely, on Commissioners Court for the foreseeable future – looking for? What qualities do I want that person to have? I’ve already noted my preference for someone who will take an active role in assisting good candidates and getting out the vote locally. Beyond that, I have three main criteria. 1. I will only support candidates who supported HERO this past November. This is non-negotiable. I have no intention of rewarding someone who was on the same team as Jared Woodfill and Steve Hotze. 2. I want a progressive. Look, I get that we’re picking one person to be on a governing body that has no other Democrats. Commissioners Court works on back-scratching consensus, and there’s not going to be a progressive consensus, at least not until there are two other Democrats on board. But because the Court operates on consensus, having a progressive voice in there means that some part of that consensus will contain that voice. The effect may be small and incremental, but it will be there if that voice is present. Thus, my preferred candidate for Commissioner has to have it in the first place. 3. I want leadership on these issues. Some things for which there is already a consensus could use a push from a progressive perspective. I’m specifically thinking of criminal justice reform, for which there’s also a fiscal motivation to get it right, but it’s not the only possibility. The single best thing that could happen to Harris County and its budget right now would be Medicaid expansion. We know Judge Emmett supports this, and we can expect the next Commissioner in Precinct 1 to support it as well. It would be great if the next Commissioner in Precinct 1 could try to get one more colleague on board, then push to get a resolution passed that calls on the Legislature to expand Medicaid already. Beyond that, the main point to understand here is that being a County Commissioner in Precinct 1 is a pretty damn sweet gig. The next Commissioner will have a large budget, considerable discretion, and basically no worries about the next election. It also comes with a fairly sizable platform, if one chooses to use it. 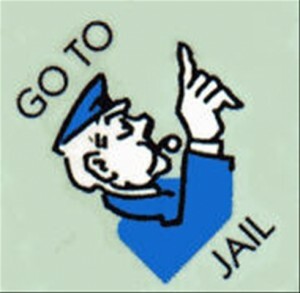 On that matter of criminal justice reform, what is to stop a Commissioner from, say, calling out the judges who contribute to the jail overcrowding problem by refusing to use Pretrial Services, or the judges who help line the pockets of a few preferred assembly-line attorneys who hoover up appointments as indigent defense counsel – in return for not rocking the boat and contributing to those judges’ campaign coffers – instead of using the public defender’s office? Or from calling out Greg Abbott and Dan Patrick and the Legislature for things like refusing to expand Medicaid or reform how property tax appraisals are done, both of which put a significant burden on local taxpayers? One can do that as a State Rep or State Senator, but I’d argue that the microphone a Harris County Commissioner has would be louder. But you have to want to use it. You have to want to pick the fights that need to be picked, and not worry about making a few enemies. Those enemies were never your friend anyway. You have the power. Do some good with it. From the inbox, sent by Carroll Robinson. Under the Texas Election Code, once the March Primary Election and Run-Off has concluded, the Democratic Precinct Judges in Commissioners Court Precinct 1 will meet to select a replacement candidate to appear on the November ballot for a full four-year term. Under the law, there is no option of a Special Election for selecting a replacement candidate for the November General Election ballot. Under the law, a person’s name cannot appear on the ballot for two positions. This means that currently elected officials up for re-election this year cannot be listed on the ballot for both Commissioner and re-election to their current office. We are still researching answers to the following questions. How will the meeting of the Precinct Judges to select the replacement be conducted? Who will Chair the meeting and how will the Chair be selected? What will be the process for individuals to be considered to be the replacement? Can the Precinct Judges retain counsel to advise them on the questions involved in selecting the replacement? 1. Commissioner Lee’s name will be the only one on the Democratic Party Primary Ballot. 2. In June, the Democratic Party Precinct Judges, residing in Commissioner Precinct 1, elected in the March primary, will select a replacement candidate to appear on the November General Election ballot. The replacement candidate cannot be selected by Special Election. We’ve covered some of this before, but it’s nice to have it in a concise summary like this. I would add the question of which precinct judges get to select a replacement if we wind up naming a sitting legislator to be the November nominee. My guess is that it would be simply the precinct judges from that legislative district, but it would be nice for that to be clarified. Note as well that there could be a third step involved if the legislator in question is 1) a Senator or Congressperson, and 2) the nominee chosen for that office is also a legislator, presumably a State Rep. I don’t want to go too far down the rabbit hole here, so let’s just say that this could get involved, and could wind up being a long meeting. If the new nominee is someone who currently holds office but is not on the ballot this November – a Houston City Council member or HISD/HCC Trustee, for instance – that person would clearly have to resign once sworn in as Commissioner, but not necessarily before then, unless they held an office that required them to resign to run for something else. I would prefer such a person to resign anyway, as there would be enough time for a special election, to be held in November along with everything else, to fill that person’s unexpired term. Which leads to another question I can’t answer: How many full terms in office would a Council member who won a November 2016 special election get to serve? Under the old system, they’d still get three full two-year terms, as folks like Ed Gonzalez and Melissa Noriega did; Dave Martin will get the full two-year term he won in 2013 plus the two four-year terms (if he runs and wins again in 2019) that others elected in 2013 can get. My guess is such a person could run twice more, in 2019 and 2023, giving them up to 11 years in total. Maybe we ought to have the City Attorney standing by, just in case. Anyway. This is the process, and these are the questions that occur to me. I’m sure there will be more. I plan to lay out my criteria for what I am looking for in a new Commissioner in a separate post, as this one is long enough. What questions do you have about the process that I haven’t addressed here? We’ll see what this actually becomes. Chasing $4 million in grant money, Harris County officials on Thursday announced reforms in the criminal justice system to unclog dockets, lower jail population and address racial and ethnic disparities. And because the changes are so important, they said, they will do it even if they don’t get the money. The changes mean two new dockets for violent offenders to get trial faster, more treatment and services for addicts and the mentally ill and diversion programs for mentally ill homeless people and low-level non-violent suspects. Late Wednesday night, a little known committee that began meeting monthly under the late County Commissioner El Franco Lee submitted the county’s application for a grant that could mean $2 million a year for two years to put their plans into effect. In preparing the application, the Criminal Justice Coordinating Council gathered data on arrest and release decisions, case processing and diversion and looked into recidivism and re-entry initiatives. To achieve the biggest of their stated goals, lowering the jail’s daily population which hovers around 8,500 by 1,800 people, officials are implementing several changes, including one often sought: the use of personal recognizance bonds instead of bail. None of the suggestions being contemplated are much different from what every study panel and consultant who’s examined it has told Harris County since the turn of the century. It’s just that judges refused to stop using bond schedules, preferring to use jail to maximize pressure on defendants to enter plea deals, without which they feared their dockets would swell. So if the judges don’t cooperate, none of this works. The hope is that judges will be able to use a new risk assessment tool as a fig leaf to justify doing something – getting rid of bail schedules – that everybody knows they should have done years ago. If judges and the DA embrace these programs, the plan could work. But it won’t be because of a grant. These or similar changes have been staring the county in the face for at least a decade. Ditto that. The Press has more. Among other things, Commissioner El Franco Lee leaves behind a lot of money in his campaign finance account. When Harris County Commissioner El Franco Lee died unexpectedly Sunday, he left friends and allies in mourning, political hopefuls jockeying for his job and an uncommonly large campaign war chest of nearly $4 million. What happens to that sum – which far outstrips the campaign cash held by all of his fellow commissioners combined – remains an open question. All elected officials are required to disburse their political reserves after leaving office, but campaign finance experts said the present situation is unusual given the extent of Lee’s holdings, which his campaign treasurer now is tasked with distributing. “This much money I’ve not seen before,” Austin campaign finance lawyer Buck Wood said. Andrew Wheat, research director for the watchdog group Texans for Public Justice, agreed. State law dictates that Lee’s longtime friend and campaign treasurer, J. Kent Friedman, now must disseminate those leftover political funds to one or more of the following entities within the next six years: the Democratic Party, a candidate or political committee, a charity, a scholarship program at an institution of higher education, or the state treasury. He also may return money to Lee’s donors. Friedman said he has not considered what to do with the late commissioner’s campaign account. I do have some thoughts on this, but in the spirit of decorum, I’ll demur for now. I do hope that when the time comes for decisions to be made that they are made with transparency. We should know what ultimately happens with these funds. Within hours of longtime Commissioner El Franco Lee’s sudden death Sunday, Harris County Judge Ed Emmett received calls from three people vying for his seat. Emmett, who alone must appoint a temporary successor, said he will not consider these three or five others who by day’s end expressed their interest. “There’s such a thing as dignity,” Emmett said on Monday. Replacing Lee will be a two-step process which is complicated by where it falls in the election cycle. State law dictates when a sudden vacancy occurs, the county judge must pick a commissioner to complete the term, which in Lee’s case is Jan. 1, 2017. When the term ends, the commissioner’s job comes up for election. However, at this point it’s too late for candidates to submit their names for the March primary, and there is no Republican running for the seat. After the primary, sometime in June, Democratic party officials for Precinct 1 will choose a replacement candidate for Lee. The candidate the party chooses will run unopposed in November. Emmett said he hoped to announce a short-term appointee to the job in three weeks’ time, when he returns from a previously scheduled vacation. Emmett, a centrist Republican, sought input Monday morning from Lee’s staff to find an African-American Democrat for the job equipped to proceed with projects already underway. He said he wanted the individual to be in place in time to participate in the fiscal year budget process. Lane Lewis, the Democratic Party chair for Harris County, will oversee part two of this process and believes it is in Emmett’s best interest to appoint a caretaker who is ineligible to run or who would choose not to run instead of picking a viable candidate for the November balloting. “I don’t think he’s interested in trying to be kingmaker; he’s interested in having an honorable, respectable placeholder who can do the job while the process takes place over the next six to eight months,” Lewis said. Like Emmett, Lewis fielded a handful of phone calls Sunday from individuals inquiring about the open seat on Commissioners Court. Two or three more people approached him Monday at Mayor Sylvester Turner’s inauguration asking how to submit their names to the party’s selection process in June. “Some were more pushy than others,” he said. Lewis said he agreed with Emmett that these conversations should happen at some point but were premature. See here for the background. Gotta say, much as I can understand why anyone and everyone would like to have this job, buttonholing Ed Emmett and Lane Lewis (at the Mayor’s inauguration!) like this when everyone is still in shock over the news of Commissioner Lee’s death is just plain tacky. And speaking as a precinct chair in Precinct 1, I agree with Campos about knowing who the eagerest beavers are, so I can take that into account at the CEC meeting when we decide who the nominee will be. I’m already dreading the emails and phone calls I expect I’ll be getting in the months ahead. But as long as we’re discussing this, let me say that one of my priorities for a new Commissioner is someone who will pledge to work with the local party and candidates to support GOTV efforts. With great power comes great responsibility, and all that. KUHF and PDiddie have more. The longest-serving and first African-American Harris County Commissioner passed away suddenly on Sunday. El Franco Lee, Harris County’s first African-American commissioner and a popular mainstay in the political community, died Sunday morning of a heart attack. He was 66. The Houston native served more than three decades as commissioner in Harris County’s Precinct 1, and though his official duties included the care of roads and parks, he was remembered most for his work through social programs for youth and seniors, helping extend access to health care and providing other services in traditionally poor inner-city neighborhoods. Radack, who named a health care center in his Precinct 3 after Lee, noted his colleague “worked tirelessly” for the local hospital district. 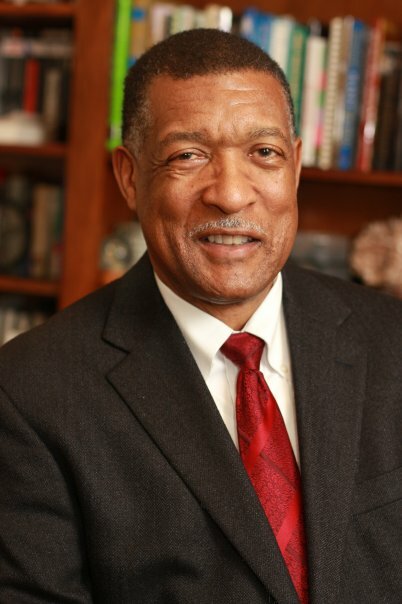 Lee was, for example, an instrumental supporter of the Baylor College of Medicine’s efforts to deploy satellite health care clinics at county-run facilities in the Fifth Ward, the Third Ward, Kashmere Gardens and other neighborhoods, said Peggy Smith, director of the Baylor College of Medicine Teen Health Clinic. In seven terms in Harris County government, Lee set up numerous partnerships between Precinct 1, nonprofits and other groups to create health and educational programs for seniors and youth in Harris County, including the county’s Street Olympics Program, which has expanded since 1986 into a myriad of programs that annually serve 10,000 in Harris County. I did not know Commissioner Lee, but he was a trailblazer and a giant in the local political scene. He will be greatly missed. I received multiple statements regarding his death, from Mayor Turner, Sen. Sylvia Garcia, his former colleague on the Court, Rep. Gene Green, and District Clerk Chris Daniel. My sincere condolences to Commissioner Lee’s family. Emmett will have to decide soon who will serve the remaining 12 months of Lee’s term. After that, for the term that begins in 2017, the question of who will serve in Lee’s stead becomes more complicated. A primary vote is scheduled for March, but Lee was the only Democrat on the ballot for his position. Emmett said it is too late to reopen filing so the Democratic precinct chairs will gather, as early as June, to select a replacement candidate who will go on the ballot in the November election. As you may recall, Judge Emmett got to select Jack Cagle as a replacement for Jerry Eversole back in 2011. That was a different situation in several regards, including the fact that Eversole had been re-elected less than a year before, while Commissioner Lee’s term expires at the end of this year. We are too close to the March primary for their to be a reopening of filing for Democratic hopefuls, so as noted the HCDP precinct chairs get to name a new nominee, as delineated in state law. I’m not sure if the Republicans now get to pick a candidate as well, not that it matters in Precinct 1; the Greens already have a candidate, not that that matters, either. Whoever the precinct chairs pick will be the next Commissioner, quite possibly for a long time. I suspect Judge Emmett will prefer to select a true interim Commissioner, who will not put himself or herself up for the nomination, but stranger things have happened, and I suppose once Judge Emmett makes his choice, that person can and will do what they want. As I am still catching up on a bunch of stuff, I have not heard any chatter about who might put themselves out there for the job, but I feel confident saying there will be much interest in it. Harris County Judge Ed Emmett and all four county commissioners are scheduled to be deposed Monday in a federal lawsuit filed by former Houston Police Department crime lab supervisors who said they experienced retaliation after exposing problems with a mobile DUI testing program. At the time of the terminations, Culbertson and Wong were working at a Lone Star College laboratory that supervised under-the-influence testing for the Harris County Sheriff’s Office. They say they lost their jobs when commissioners voted to cancel the Lone Star contract. While working as analysts for HPD, Culbertson and Wong exposed problems with the BAT vans that complicated DUI prosecutions. In retaliation, their 2012 lawsuit says, former Harris County District Attorney Pat Lykos and Assistant District Attorney Rachel Palmer lobbied commissioners to cancel the county’s long-standing contract with their employer, Lone Star. The county subsequently signed a more costly deal for lab work with the Texas Department of Public Safety. In September, U.S. District Judge Lynn Hughes authorized the depositions of commissioners El Franco Lee, Jack Morman, Steve Radack and Jack Cagle as well as Emmett and his criminal justice adviser Doug Adkinson. The judge also limited each inquiry to one hour. HPD began using the BAT vans in 2008. Into early 2011, Culbertson reported temperature and electrical irregularities with instruments that could influence the integrity of tests, the lawsuit said. In May 2011, Culbertson testified in a DUI trial that she could not verify a device had been working properly during a test. In July 2011 testimony, she said she could not trust the accuracy of a van analysis. That same month, Palmer, the assistant district attorney, wrote a memo to a supervisor in which she concluded that Culbertson “could not be trusted to testify in a breath test” and that she was “gravely concerned” about Culbertson’s ability to “testify fairly” in the future. Culbertson and Wong resigned from HPD in 2011 to become technical supervisors at Lone Star. In the fall of 2011, the college’s contract of nearly three decades with the county – which had been renewed annually – was terminated in favor of a more expensive DPS deal. Culbertson and Wong were fired by Lone Star in October 2011, shortly after the commissioners transferred the testing business. Hughes dismissed the lawsuit in August 2013, but that decision was reversed by the 5th U.S. Circuit Court of Appeals in June. All claims against Lykos have been dismissed or settled, and all claims against Palmer have been tossed. See here and here for some background. As I’ve said before, I haven’t followed this story closely enough to have a firm about about it, but as having all five members of the Court deposed in a lawsuit is an unprecedented situation, I figured it was worth noting. The Press has more. The plans are more specific for the part of the bond package that’s easier to sell. Commissioner Jack Morman thinks of the East Aldine residents waiting outside Crowley Park before dawn for workers to unlock the gates. Commissioner Steve Radack cites Easter weekend crowds of roughly 75,000 at Bear Creek Park. Commissioner El Franco Lee pictures the opening day parade of Little Leaguers at his eponymous park. Commissioner Jack Cagle riffs on the joy of encountering turtles, egrets, herons and bald eagles along his greenways, mere miles from neighborhoods. Harris County officials said they are in locked in a steady struggle to keep pace providing plentiful green space amenities as the population of unincorporated Harris County continues to grow unabated. They’re asking voters to approve millions in improvements in four upcoming ballot measures that total $848 million. The $60 million park bond will help fund land acquisition, as well as updates and improvements in the county’s 170 parks. If the voters approve it, the money will be split four ways and each commissioner has discretion to spend his pot on park projects of his choosing, pending approval of Commissioners Court. They don’t need to pin the money to any specific undertaking. Each commissioner takes a unique approach to doling out the funds. Commissioners said they almost never request all of the money up front. It’s usually spent to supplement projects that are underway as the costs come up. Bill Jackson, the county budget director, said there isn’t a final deadline for cashing in on bond money. In some cases, if the need never materializes, the bond debt is not issued, as was the case of the bond for a family law center that never got built. Constituent needs vary throughout the county and within each precinct: “What matters to somebody in the northeast might not matter to somebody in the southeast,” Morman said. You can read the rest for each commissioner’s detailed wish list. The sidebar reminds us of the other items in the bond package, the biggest part of which is $700 million for roads and bridges, though we don’t know what the particulars are for that. What are your thoughts on these bond proposals? 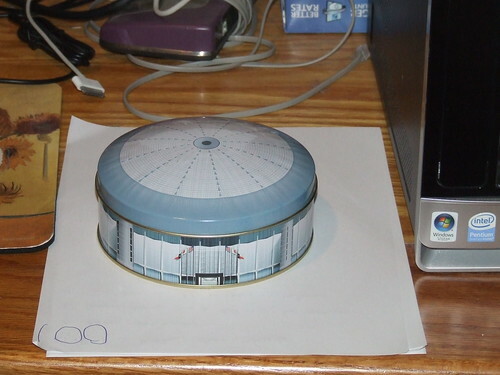 Is this the plan that will save the Dome? Meanwhile, the Harris County Sports and Convention Corporation was mulling over a 38-page report by the Urban Land Institute outlining details for transforming the Astrodome into an indoor park with 1,200 parking spaces underneath it. What remained unclear was how to fund it. And that’s where Emmett’s idea comes in. His plan has now become the blueprint for a public-private partnership overseen by a conservancy that would unite the city, county, the sports and convention corporation and other governmental entities with private investors to revive the Astrodome without requiring voter approval. Under the conservancy model, Emmett said, the Dome would earn tax credits, which would help significantly with covering expenses for renovation. The details for the partnership – and who will commit to covering what percentage of the costs – are being discussed in meetings between representatives of various stakeholders, including during a session on Tuesday and another one scheduled for Friday. The finished funding plan will come before county officials likely before year’s end, and, if the majority of the five-member Commissioners Court backs the proposal, the Astrodome revival will commence. The two newest commissioners, Jack Cagle and Jack Morman, said in interviews Tuesday that they might ultimately support a conservancy to oversee a Dome project; however, neither could say for certain without reviewing the actual proposal. Commissioner El Franco Lee expressed wholehearted backing for Emmett’s new strategy. Lee said participants in the conservancy discussions are fully aware that the majority on Commissioners Court does not support taxpayer money going toward the Astrodome project, and he said the planning group will certainly keep that in mind as it crafts a proposal. That’s the key right there, no bond issue, which would mean no vote need be taken. I mean, there’s not a whole lot of reason to be optimistic about any further Dome-related votes, so avoiding that would be a big deal. As Judge Emmett notes, this is the same concept that the Houston Zoo and Discovery Green use. That would require some kind of board that would be responsible for management and – more importantly – funding, with some operations money coming from the county and likely the city. I expect that would be easy enough to work out. This makes so much sense that you have to wonder why no one thought of it before. Better late than never, I guess. What do you think about this? Texas Leftist has more. Here’s your new Sheriff, Harris County. Commissioners Court named Precinct 4 Constable Ron Hickman the new sheriff of Harris County to replace Adrian Garcia who resigned last week to run for mayor of Houston. The county leaders took a formal vote Tuesday on the appointment after a brief closed-door session to discuss candidates to fill the post. Hickman, who has worked in law enforcement in the county for 32 years, was sworn in two minutes after the unanimous vote. Commissioners said they were looking for a candidate with gravitas, law enforcement experience, administrative skills and political knowhow. Another quality the group may have considered is how amenable the prospective sheriff is to separating leadership of the county jail and placing it in the hands of a jail administrator. This shift, championed by Precinct 3 Commissioner Steve Radack, is not sanctioned in the state constitution, but the county attorney’s office said if all parties agree, it can be done legally. Commissioner El Franco Lee said he considers Hickman “a proven commodity” who will respond and work well with Commissioners Court. During the lead-up to Garcia’s anticipated announcement of a run for mayor, Hickman said he met with each of the five commissioners to express his interest and answer their questions. On Tuesday, he was waiting in the wings during their vote. County staff then escorted him into court with his family members and friends and a bible on hand, where he then took the oath of office. Hickman developed an affinity for information technology during his time as constable, creating a consolidated system to link law enforcement databases, which was of great value to the court members. Congratulations to Sheriff Hickman. He will have a busy time ahead of him, as he already has a primary opponent, and I feel confident that there will be a spirited group of Democrats lining up for a shot at him next November as well. (On that note, someone recently suggested to me that CM Ed Gonzalez ought to run for Sheriff next year. Let me say now that I love this idea.) He may also have the responsibility of implementing that announced-out-of-nowhere scheme to appoint a jail overseer so that he can concentrate on policing. What will he do with some of the reforms Adrian Garcia implemented, like the new non-discrimination policy and the various sentence reduction policies? Will he have better luck with misbehaving deputies? Will he be more, less, or about as gung-ho in enforcing Secure Communities? Just a reminder, that primary he’ll face Allen Fletcher and probably some other folks in happens in less than ten months. Like I said, a busy time ahead. PDiddie has more. 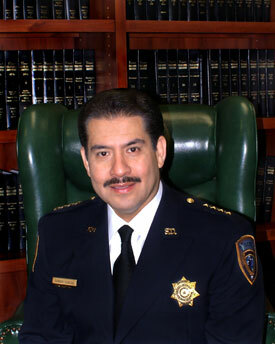 Who would be Sheriff if Adrian Garcia runs for Mayor? A Republican, for sure. Beyond that, we don’t know. County officials are preparing for Garcia to resign as sheriff, which he is required to do under the Texas Constitution if he chooses to run for mayor of Houston, as he is expected to do. The County Attorney’s office last month circulated a memo to Harris County Commissioners Court detailing how the process for appointing a Garcia successor to serve to the end of 2016, the remainder of the sheriff’s term. Meanwhile, two prominent Republicans – Rep. Allen Fletcher and Constable Ron Hickman – are closely watching Garcia’s moves and wooing the five-member court in hopes of securing a majority in a vote that could come quickly after he announces his mayoral plans. Four members of Commissioners Court are Republican and are expected to appoint a Republican to replace Garcia, a Democrat. Many Democrats, who privately and publicly have chastised Garcia for mulling the abandonment of a top countywide position that Democrats worked hard to win in 2008 and 2012, worry that a Republican appointment could make it difficult for Democrats to reclaim the sheriff’s office. Garcia has not yet said whether he plans to run for mayor. Once a county official publicly says he plans to run for another office, the resignation timeline is triggered, according to the county attorney’s memo. Garcia, however, would not actually step down until Commissioners Court appoints his replacement. The five members of Commissioners Court declined to say this week which candidate they planned to support. “Sheriff Garcia’s still the sheriff,” County Judge Ed Emmett said. Nonetheless, Lee and the other members of Commissioners Court have sat down with Hickman and Fletcher in recent months to discuss the job. It is likely that more names will emerge for the post once Garcia formally announces his intention to run for mayor. The court also could appoint an interim replacement who would pledge not to run for reelection in 2016 – possibly triggering a spirited 2016 Republican primary – but Commissioners Jack Cagle and Steve Radack this week said that a placeholder appointment would not be their first choice. My first choice would be for them to not have to make a choice. You already know what I think Sheriff Garcia should do, but it’s not my decision. Conventional wisdom all along has been that he will run, though we won’t know for sure till he says so one way or the other. At this point the speculation is about when he’ll make his announcement, whatever it is. You’ve got to figure that if he is running, sooner is better than later for him. Anyone hearing any other Sheriff-wannabe names? Commissioners Court is on it. Harris County commissioners are preparing to accept the resignation of convicted Constable Victor Trevino and to start looking for his replacement. Trevino, who pleaded guilty last week to a felony charge as a jury was hearing evidence in his public corruption trial, resigned his office. Once commissioners accept his resignation Tuesday, they must select a replacement to serve out the remainder of Trevino’s four-year term. 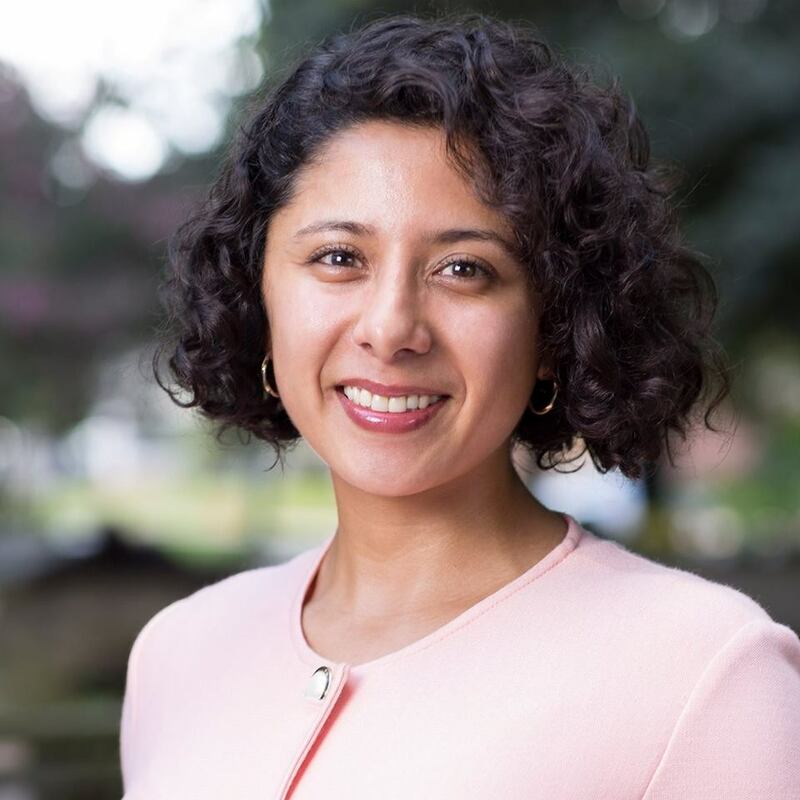 “It’s important to find someone who is qualified, and has a history of living and working in the precinct and is community-minded,” said state Rep. Carol Alvarado, D-Houston, adding she has told commissioners she favors a Hispanic who is a Democrat. Most of Trevino’s precinct is located within the boundaries of Commissioner Jack Mormon’s district; about one-quarter is in Lee’s. Mormon’s staff confirmed the screening process is underway with 12 to 15 applicants under review. I went back to the 2012 precinct data that I have for Harris County, and it showed that Constable Precinct 6 voted 79.4% for President Obama. Commissioners Court can play games if they want, but I can pretty much guarantee the next elected Constable will be a Democrat. Commissioners Court officially accepted Trevino’s resignation, yesterday, and I’m glad to see that Commissioner Morman said it would be “almost an automatic disqualifier” for someone to express longer-term interest in the job. That’s as I would have it – let the voters make the choice without being influenced by external factors. We’ll know who the Court picks next week.